Hey, everyone, long time no see. Life, ya know. I'd been thinking it had been way too long since a post, and then randomness happened and voila, I have post material. 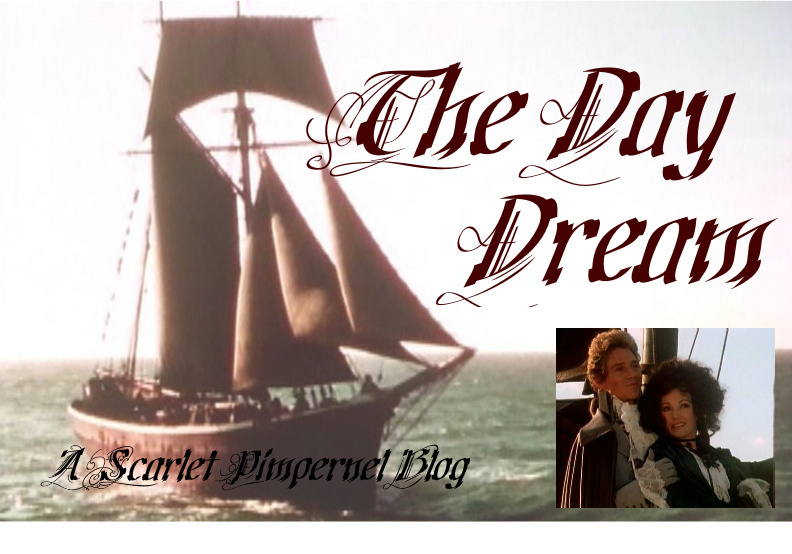 A loooooooooong time back...in fact, it was my very first post on The Day Dream...I wrote my thoughts on the musical version of The Scarlet Pimpernel. Now, while my thoughts/feelings on it have changed quite favorably in some areas since then, there are some major quibbles I still have with it. One of the biggest ones was the fact that there was no real love duet between Percy and Marguerite, which was severely annoying. I mean, "All I Ask of You", "Something Good", "Somewhere", "As Long as You're Mine"...in any story about love and romance there's always one big number between the leads that's this big awesome song about their love. And then you have Percy and Marguerite, famous for how utterly, passionately in love they were, and they don't have a love duet? Sure, there's the awesome "When I Look at You" on Marguerite's side, and "She Was There" for Percy, but together? One little measly, meaningless song they sing at the wedding, and that's IT. It's not even a big awesome song. THEN. I was randomly reading stuff on the musical on the Internet last night, and what should I stumble across but the concept cast recording, made before the show actually went to Broadway. I'd seen the thing millions of times, but never paid much attention. But for some reason I actually paid attention to the song titles, and realized there were several songs I'd never heard before, and of course started googling them. What I found basically has put me on fangirly cloud nine all evening (and WHY did they cut it?! It's SO much better than the song they had in the end). It's a gorgeous song that perfectly expresses the journey that their love goes through in the course of the story and how, even through the hurt and the misunderstanding and the broken trust, when it seemed like Percy was cold and Marguerite indifferent, in reality, "there never was a time I didn't love you." And of course there had to be a vid. :D Enjoy!